Some of you may recall my post from May when I wrote about the Kosmos Innovation Center (KIC) and the exciting work it’s doing to bring young tech-savvy entrepreneurs into the agricultural sector in Ghana. Here’s a quick update and brief summary of the kinds of ideas that have emerged from the project so far. Like so many other agricultural markets, Ghana’s farmers often have to deal with fake agrochemical inputs such as fertilizers and pesticides. Besides undermining the brand value of the original products, these fake products pose a danger to both farmers and consumers. The AgriPut team is developing a platform that makes it possible for farmers to immediately validate the authenticity of chemicals at the point of purchase via USSD. Ghanaian farmers who need ploughing services are unable to reach mechanization centers and tractors services operators. The Trotro Tractor team connects farmers with tractor operators in their vicinity, allowing them to request, schedule, and prepay for tractor services. Think of it as Uber or Lyft for tractors. 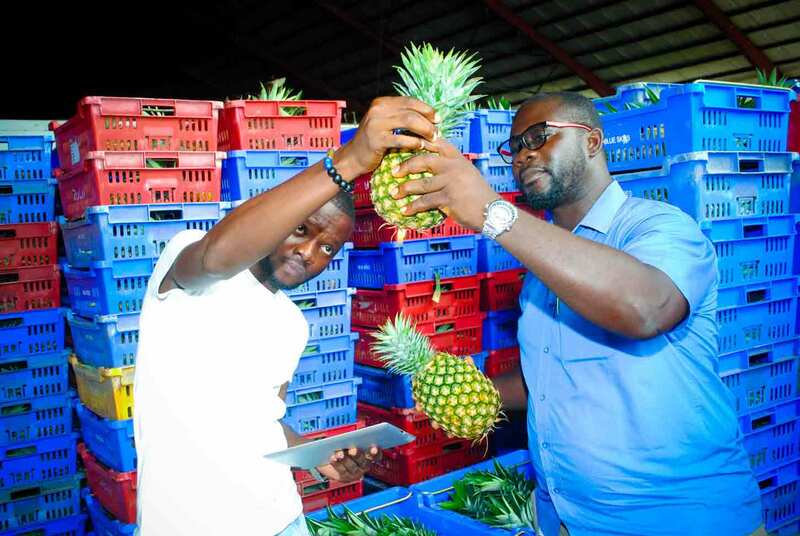 Two of the teams, Farmhub and AgBSol, realized that Ghanaian farmers have a hard time reaching wider markets, including hotels, schools, and other buyers of large stocks of produce. They both developed online and mobile systems to connect these two actors in the value chain. Traditional banks and lenders are skeptical about lending to agribusinesses largely due to the risky nature of the sector and the difficulty in determining the credit-worthiness of farmers. The CediLink team wants to tackle this issue by creating a financial tracking tool to help farmers build a credit score over time. The Ghalani team has developed a farm management software that helps agricultural aggregators efficiently organize, manage, and monitor large numbers of farmers to improve productivity and reduce risks. So what’s next? Earlier this month, these finalists gave their final pitches, competing to receive seed funding from KIC and to spend the next year in the incubator at the Meltwater Entrepreneurial School of Technology (MEST) to launch their businesses. Stay tuned for updates on the winners!